Ukrainian President Petro Poroshenko has met with Chief Executive Officer of Head International Holding GmbH and former Special Representative of British Prime Minister Gordon Brown Johan Eliasch who announced the decision to build the largest production in Ukraine, Vinnytsia region. “I want to congratulate you on this important decision. This is the right step of Head company. Your company coming to Ukraine is a unique combination of the potential of our country and your company,” the president said. The Head executive director said he was impressed with the development of Ukraine. “The fact that you invest 5-7% of GDP in the defense sector is good. This guarantees political stability. It is impressive how you settle the situation with Russia. The agreements you reached with the EU are good, too,” he said. According to him, the British government actively supports the development of relations and trade between our countries. “The more we do to support the British business in Ukraine, the better. First of all, it concerns the conclusion of the FTA agreement,” he stressed. Poroshenko thanked Eliasch for the decision to found the production of his company in Ukraine. The president emphasizes that the international organizations, starting with the IMF, World Bank, EBRD and others, noted that Ukraine had introduced more reforms over the past four years than in previous years of independence. “I think it is extremely important to have such solidarity as the European Union, the United States of America demonstrate with regard to Ukraine. And also transatlantic solidarity, especially from the United Kingdom,” the Head of State said. Poroshenko also stressed that the Ukrainian authorities were taking all necessary measures to improve the investment climate and maximize the attraction of foreign investors to the Ukrainian economy. “I am glad that your first impressions from the first steps in Ukraine demonstrate that our efforts bring really positive results,” the president said. Head UK Ltd. is one of the world’s leading manufacturers and sellers of sports equipment and clothing. The company’s business includes five divisions: winter sports, racket games, diving, sportswear and licensing. The trademarks of the company are HEAD, Penn, Tyrolia, Mares, SSI, and rEvo. 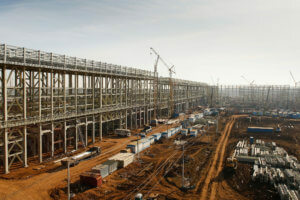 Austria’s HEAD International Holding GmbH, the subsidiary of Head UK Ltd, plans to invest EUR80 million in the construction of its “new largest plant” in the territory of Vinnytsia industrial park, First Deputy Prime Minister, Minister of Economic Development and Trade of Ukraine Stepan Kubiv said after a meeting with the company representatives. “The project in Ukraine will be implemented in three stages: in 2019-2020 there will be the construction of 1-1.5 hectares of new production facilities. It is planned to attract about 200-300 people,” he wrote on Facebook. According to the official, in 2020-2021 it is planned to build an additional 1-1.5 hectares of new production facilities and create jobs for 600 people, and during the last third stage in 2022-2023 to build another 1.5-2 hectares of new production facilities and expand the working staff to 1,000 people. 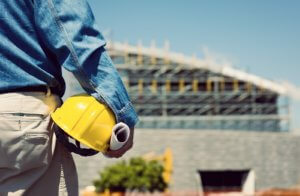 Kubiv added that after the completion of the last stage of the project, HEAD plans to annually spend about UAH 150 million on wages for workers. “After the successful implementation of the project, the company will also consider the possibility of transferring some of its teams in the field of digital technologies or IT to Vinnytsia and moving additional production facilities to Ukraine,” he said. 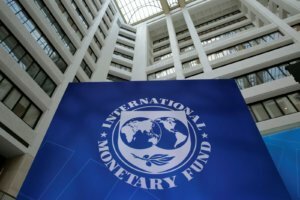 The International Monetary Fund (IMF) considers it possible to introduce an exit capital tax in Ukraine if mechanisms to cover possible budget losses are available, the member of the Verkhovna Rada Committee on Taxation and Customs Policy, People’s Deputy Tetiana Ostrikova (Samopomich), has said after a meeting with IMF representatives in the United States. “The first news is that the IMF does not oppose this tax and considers such a model of profit taxation possible taking into account certain factors. The second news is that the IMF does not directly support the bill on the exit capital tax, which the Ukrainian government uses, covering its inactivity in the tax sphere,” the press service of the Samopomich party said. The party notes that the issue of the introduction by the president of Ukraine of a draft law on the exit capital tax, prepared by a working group under the Ministry of Finance, to the parliament, was postponed indefinitely, referring to correspondence with the IMF. At the same time, the political force explained that the issue of the exit capital tax was not included in the memorandum between the IMF and Ukraine, therefore it is not a top priority for the fund. At the same time, the IMF is concerned about a lack of tangible tax reforms. 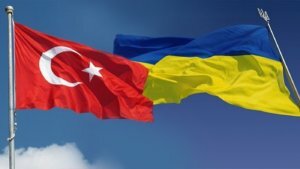 Ukraine and Turkey have discussed access to the market of agricultural goods and the services market during the 10th round of negotiations on the free trade area (FTA), as well as the provisions of the agreement related to telecom and e-commerce, Deputy Minister of Economic Development and Trade, Trade Representative of Ukraine Natalia Mykolska has said. “The round was not an easy one, since we defend the opening of the most profitable opportunities of the Turkish market for Ukraine and Ukrainian exporters. So we used this opportunity to address the issues of access to agricultural markets,” she wrote on her Facebook page on Saturday. Earlier, the trade representative said that Ukraine and Turkey had agreed to complete negotiations on the FTA in the near future. 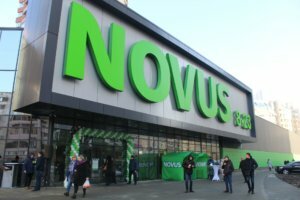 The Novus Ukraine retail supermarket chain plans to open seven new stores in Kyiv by the end of 2018, the company’s press service has reported. According to the report, the Novus chain in April was expanded to 39 outlets, after the opening of a store at 4A, Heroyiv Stalinhradu Avenue. The retail area of the two-story store is 921 square meters. As reported, the European Bank for Reconstruction and Development (EBRD) opened a credit line of up to $25 million to Novus Ukraine for seven years to support the expansion of the Novus supermarket chain. In addition, according to the EBRD, Novus will receive a $500,000 grant from the FINTECC (the Finance and Technology Transfer Centre for Climate Change) to support energy saving technologies. BT Invest was set up in 2008 by former stockholders in Sandora juice producer Raimondos Tumenas and the late Ihor Bezzub. The company owns the Novus chain, Stolitsa Group that implements real estate projects in Kyiv city and region and acts as an investment partner in construction of the Retroville shopping center. BT Invest also owns a business center in Lithuania. BT Invest jointly with Ukrainian partners is realizing a new infrastructure project – a seaport in Mykolaiv. 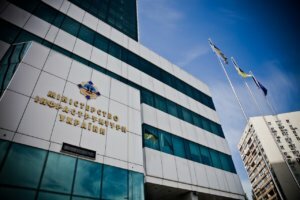 The Antimonopoly Committee of Ukraine in 2016 allowed companies Numb Holdings Limited, Skopian Holdings Limited, Sopason Holdings Limited (all based in Nicosia, Cyprus), BT Invest Ukraine and Novus Ukraine (both LLC, Kyiv) to acquire stakes in the charter capital of construction companies Lisovy Zatyshok, Esvalda, Chervona kapeliushka, Konserela Ukraine (all LLC, Kyiv) and Steel-Invest (Boryspil, Kyiv region). The Ukrainian Ministry of Infrastructure considers it necessary to invest in the construction and repair of runways at regional airports, Ukrainian Minister of Infrastructure Volodymyr Omelyan has said on the air of Channel Five. “A lot of airlines are ready to enter Ukrainian regional airports, but there are no conditions for that. There are no runways, there are no terminals that would accelerate servicing, while this is one of the key issues for low cost air carriers. Therefore we must invest in the runways as a state to get a highly competitive market and business for the state as well,” he said. According to Omelyan, the development of airports will ensure a quick return on investment. Earlier, the minister said that the reconstruction of the airport in Odesa is to be completed in 2019. It is also planned to additionally allocate UAH 1.17 billion for the construction of a runway at Odesa airport. According to the Ministry of Infrastructure, the construction of a new runway will allow Odesa airport to accept heavier aircraft, including Boeing-767, which, in turn, can double passenger traffic.